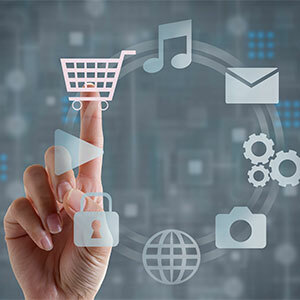 ACS combines our full suite of services from secure website applications to internet marketing, helping our clients to bring their business to its full potential. Creating an effective website isn't just about product development. See the difference a comprehensive strategy makes. Tired of utilizing your advertising spend on options that don't show results? Let us show you the difference trackable, targeted advertising makes. Over 4 million searches are made every day by real people looking for real products and service providers. Let us put you in front of that opportunity. Are your website visitors becoming customers? Our system is proven to give clients higher conversion rates every year they work with us. We can help you develop professional content that will establish legitimacy with potential customers and get your company noticed by search engines. Streamline sales, improve efficiency and close more leads with our CRM solutions today! Social media is a great way to drive repeat business and to attract new customers. Let's get social! Pay Per Click advertisements help increase traffic to your website. We can manage Pay Per Click campaigns in order to get the most out of your marketing budget. 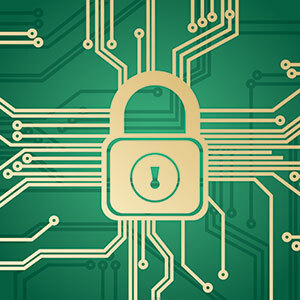 Secure your website, increase customers' confidence, and reach the full online potential of your business. A responsive web design is a type of web design that accommodates a user-friendly look and feel regardless of the device the website is being used on. This means that the web design is responsive to the display size of the device, making the website's design adjust to provide the best display depending on the device. For example, a site built with a responsive web design will look slightly different when accessed on a phone or tablet than it would when accessed on a desktop or laptop. This is because users interact differently with a website depending on the device they're using. 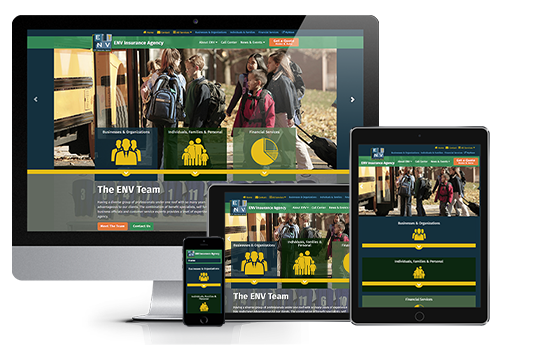 A responsive design ensures your site is just as easy to use on a laptop as it is on a smartphone. Considering that 31% percent of people use mobile devices as their primary means to go online (according to the Pew Research Center), combined with the fact that 60% of all web traffic comes from mobile devices, if your website lacks a responsive web design, your site could provide a poor first impression and a frustrating experience for a sizable portion of your potential clients or customers. Does A Responsive Web Design Help My Customers? A responsive web design makes your site easier to use regardless of how people prefer to access your site. On the web, impressions are made in milliseconds. According to the New York Times, people will visit a site less often if it's just 250 milliseconds slower than a competitor's. With a significant and growing percentage of people browsing the web on mobile devices, having a company website that lacks a mobile-friendly design puts your business at a competitive disadvantage. All sites developed and designed by ACS Web Design & SEO are optimized to minimize page loading time, providing a streamlined user-experience that keeps customers focused on your message, not how long the loading circle's been rotating. In addition to site speed optimization, specific industries that ACS is extensively experienced in providing solutions for have growing demands for mobile-friendly features. For example, mobile banking is a popular feature that nearly doubled in usage from 2011 to 2013. 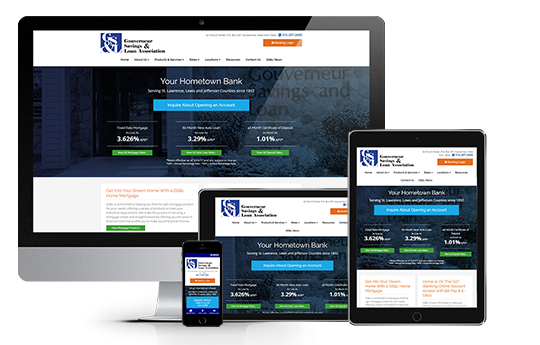 ACS has provided secure, responsive web design solutions that have empowered our long list of bank and credit union clients to provide this popular service. Lacking a responsive web design results in a poor user experience. The pages people want to get to are hard to access because links are too close, resulting in repeated clicks to the wrong place. Sites that aren't built with a responsive web design also can require manually zooming in and out to get information. Working with a business whose site doesn't accommodate all devices makes potential customers' and clients' experience with your business more inconvenient than it needs to be. 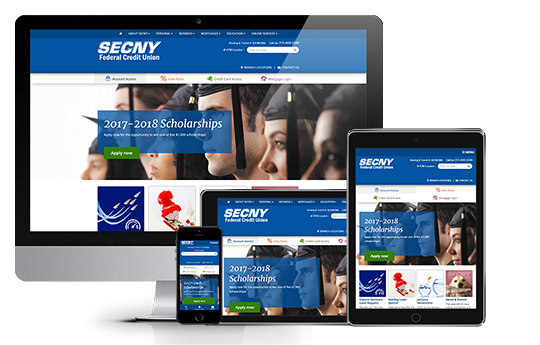 All ACS responsive web design solutions are made with careful consideration toward adequate spacing between touch points, ensuring your current and potential customers can easily find what they need. ACS Web Design & SEO specializes in user-friendly responsive web design. We provide custom solutions to make important information easily accessible for your potential and current clients' and customers' needs. Because each business has a unique target audience, we design your site in a way that makes it accessible to your customers and clients. Whether it's an eye surgeon website that's made to be accessible for various visual impairments or an insurance website that makes it easy for both businesses and individuals to find the policies right for them, our professional web designers and internet marketing experts can create a design that appeals to your company's unique needs. For a custom, responsive web design that meets your individual needs, contact us. Does A Responsive Web Design Help In Search Engines? On April 21, 2015, the web changed. On this date, Google, the most popular search engine, changed its ranking algorithm for mobile searches. What the change means is that sites that are mobile-friendly will rank higher on mobile search results. With 79% of smartphone owners using their mobile device for online searches, combined with the fact that 81% of people research online before making a purchase, businesses without a mobile-friendly website now have much less visibility online. 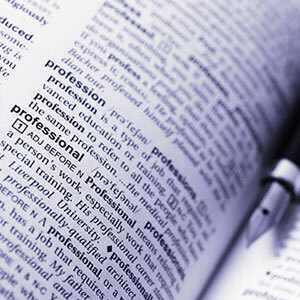 The importance to having a high position on search engines for a business cannot be understated. Whether looking for pizza or professional services, there's a 92% chance someone searching will go with the results on the first page of search engine results. If your site isn't made to be mobile-friendly with a responsive web design, you are the 8%--and you're getting passed on. With a professional web design solution that features a responsive web design, we'll help you change that. In addition to responsive web design solutions, ACS offers search engine optimization (SEO) services to help your business rank higher on popular search engines like Google, Yahoo and Bing. We also offer comprehensive internet marketing plans, providing your business with full access to our digital marketing department, which includes Google Analytics and Google AdWords Certified individuals. If your business is looking to attract new customers and improve your inbound marketing, contact us. Can Responsive Web Design Save Me Money? Other web design companies may try to sell you on a separate mobile website design as well as a desktop website design, as mobile websites need a different, distinct look and feel compared to desktop designs to adjust to the different ways people interact with a desktop compared to a mobile device. Solutions that require a separate mobile website design mean you pay for the design of two different websites. 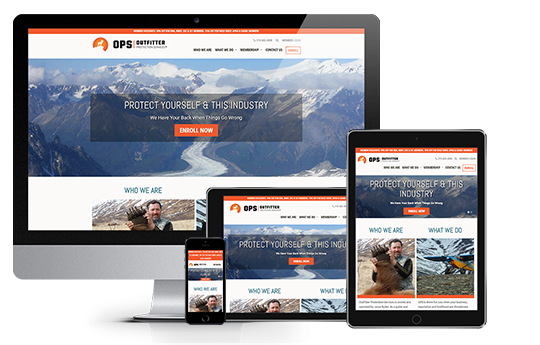 A responsive web design provides you with one site, one design at one price that looks and works equally great on all devices. Will A Responsive Web Design Accommodate Future Devices? With the release of wearable technology and other various devices with various screen sizes, many may be concerned that a website design made to work on today's devices will become dated quickly. Different devices have different break points, which can also be thought of as dimensions and parameters that determine how content will be displayed. With a responsive web design, your website is made to adjust to various screen sizes, meaning your site's design will look and work great even on devices that are yet to be invented. Will My Website Be Tablet Friendly? 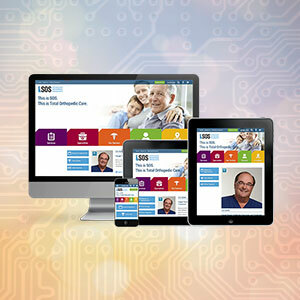 ACS's responsive web design solutions ensure your site works and looks great on all devices, including tablets. This means that your site will work on popular models, such as iPads and Samsung Galaxy tablets. In addition to our website design solutions accommodating tablets, our process includes comprehensive, pre-launch testing on tablets to ensure your site looks and works just as great on tablets as it does on any other device. Will My Website Work on An iPhone? Our responsive web design solutions ensure your professional website is user-friendly and accessible on all previous, present and future iPhones. Like with tablets, our Quality Assurance Testing is performed on iPhones to be sure your site is fully functional on iPhones. In addition to iPhones, our websites are tested on Android phones. For over 17 years, ACS Web Design & SEO has provided satisfying solutions to over 200 clients. Our experienced, expert team makes us the Silicon Valley of web design in Syracuse, NY. If you're ready to use the web to its full potential with a responsive web design, let's talk . A mobile web design is a form of web design that makes a site look and function well on mobile devices, such as smart phones and tablets. Because people interact with websites differently on mobile devices as compared to desktops or laptops, a mobile web design is necessary to fulfill the growing consumer demand and expectation for user-friendly mobile websites. The cornerstone of ACS, Inc. Web Design & SEO's mobile web design process is the application of a responsive web design. 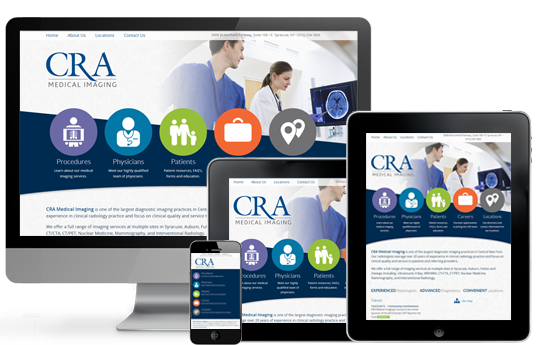 A responsive web design is responsive to the display size of the device, meaning the website's design self-adjusts to feature the best display for the device being used. To better understand mobile web design, it's necessary to understand that a site that is made using a responsive web design is optimized for use on a phone or tablet compared to how the site would appear on a desktop or laptop. Our mobile web design solutions are developed with an intense knowledge of how people interact with mobile websites, maximizing accessibility for your customers' or clients' unique needs. With 31% percent of people preferring mobile devices as their go-to way to get online (according to the Pew Research Center), coupled with the reality that 60% of all web traffic comes from mobile devices, a professional websites that don't have a mobile friendly design provide a bad first impression and an irritating experience for a significant number of your potential clients or customers. Is Mobile Web Design Helpful For Customers? ACS, Inc.'s mobile web design solutions make your site user-friendly no matter people's preferred device for web browsing. On the internet, impressions are made in milliseconds. People tend to visit a site less often if it's only 250 milliseconds slower than a competitor's, according to the New York Times. Considering the large, increasing portion of people going online with mobile devices, companies that don't have a site built with a mobile web design are at a competitive disadvantage. Through detailed, expert page speed optimization, ACS, Inc. provides all of our web design clients with a professional mobile web design that minimizes load times, ensuring your potential customers or clients can focus on what you're offering rather than being frustrated by slow load times and blank pages. ACS, Inc. also excels in providing secure mobile web design solutions to meet the unique demands of specific industries. A specific example of this is our experience in empowering banks and credit unions to provide mobile banking, a feature that's in high demand as mobile banking usage almost doubled from 2011 to 2013. Websites that don't have a mobile web design can be frustrating to interact with. Often, pages are difficult to get to because links or buttons are too close together, causing repeated clicking to the wrong site section. Without a mobile web design, users may need to manually zoom in and out to find what they're looking for. Doing business with a company whose site doesn't feature a mobile web design can turn away potential customers or clients, as evidenced by the fact that 61% of mobile device users are more likely to leave sites that don't have a mobile web design if they can't immediately find what they're looking for. Our mobile web design solutions are crafted to limit frustration and maximize usability, including providing sufficient spacing between touch points and streamlining site navigation to ensure it's easy to find sought after content. ACS, Inc. Web Design & SEO excels at easy-to-use mobile web design. We deliver individualized solutions to maximize accessibility to relevant resources for current and potential clients' and customers' needs. Considering every company has a unique customer base, our mobile web design sites are developed around the needs of your specific audience needs. From an eye surgeon website that's accessible for visually impaired individuals to an insurance website that makes it simple for both individuals and businesses to find the right policies for their needs, our experienced web designers and internet marketing professionals can make a mobile web design that's customized for your business goals. For a audience-specific mobile web design that satisfies your company needs, contact us. How Does A Mobile Web Design Affect Your Position On Search Engines? On April 21, 2015, mobile-geddon hit. Mobile-geddon is the change to Google's ranking algorithm for mobile searches, which causes sites that aren't mobile-friendly to rank lower on mobile search results. Considering that 79% of people who use a smartphone use their device for online searches, coupled with the fact that over 80% of smartphone users perform pre-purchase research online, this ranking change significantly impacts on the online visibility of businesses who don't have a mobile web design. It's important for businesses to have a high position on search engines because businesses then have the opportunity to be found by people in need of a business' services or products. From searching for pizza or professional services, 92% percent of the time people choose results on the first page of search engine results. Without a mobile web design, you are the 8%--and you're missing opportunities to be found by new customers or clients. Our professional web design solutions include mobile web design, helping your company's website create opportunities to acquire new customers or clients. As well as mobile web design solutions, ACS, Inc. provides search engine optimization (SEO) services to assist in achieving high positioning on popular search engines for your professional website. ACS, Inc.'s status as a Google Partner provides you with a trusted, goal-oriented approach. Additionally, our services include full-service internet marketing plans, giving your business complete access to our digital marketing team, giving your business the expertise of our Google Analytics and Google AdWords Certified marketing professionals. If you're looking to acquire new customers and enhance your inbound marketing, contact us. Can Mobile Web Design Save Me Money? 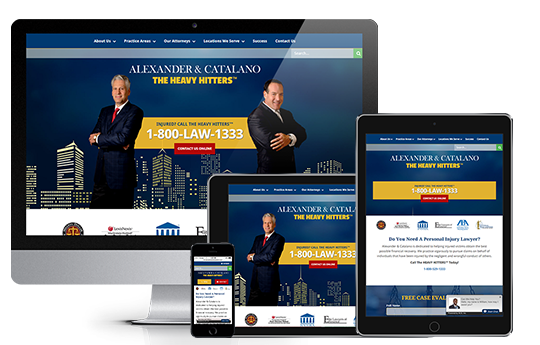 Some web design firms attempt to sell separate mobile web designs alongside a desktop site design, considering mobile websites require a different look and feel in comparison with desktop designs. These separate designs are used because people interact differently with websites when on a desktop compared to when on a smartphone or tablet. However, approaches that utilize a separate mobile web design come with the cost of designing two different websites. ACS, Inc.'s mobile web design solutions provide a single site with a single design at the cost of one website. Because our mobile web design solutions utilize a responsive web design, your site is made to look and work equally well on all devices. Will A Mobile Web Design Work On Future Devices? With the release of wearable technology, such as the Apple Watch and its competitors, business owners may be concerned that future devices with varied screen sizes may make today's designs quickly outdated. Certain devices have certain break points, which are similar to dimensions and parameters that establish how content is displayed. Our mobile web designs use a responsive design, meaning your website is designed to adjust to the appropriate screen size so your site can look and work great even on yet-to-be-invented devices. Will The Website Design Be Tablet Friendly? ACS, Inc.'s mobile web designs are made to function flawlessly on all devices, which includes tablets. Our web design solutions make your site accessible on popular models, such as Samsung Galaxy tablets and iPads. Our mobile web design project process includes thorough, pre-launch testing on tablets to make sure your site is just as functional on tablets as on all other devices. Will It Work on A iPhone? Our mobile web designs are accessible and user-friendly on all previous, present and future iPhones. Similar to our tablet testing, our Quality Assurance Testing is done on iPhones to verify that your site is completely functional on iPhones. 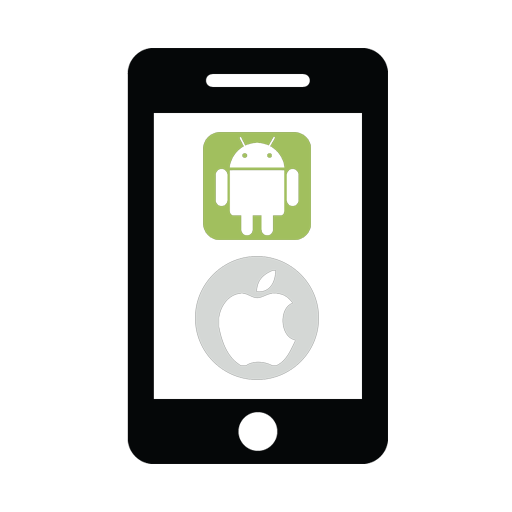 As well as working on iPhones, our mobile web designs are tested on Android phones. For over 14 years, ACS, Inc. Web Design & SEO has helped over 200 clients use the web to its full potential. Our professional, experienced team makes us the best web design company in Syracuse, NY. If you're ready to use the web to its full potential with a mobile web design, let's talk . 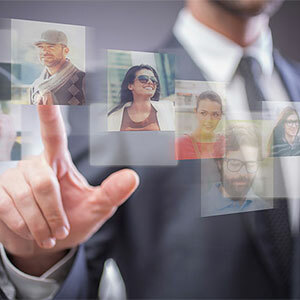 Our internet marketing services offer multi-faceted solutions that provide comprehensive, interconnected strategies that support your digital and offline efforts to increase leads for your business. 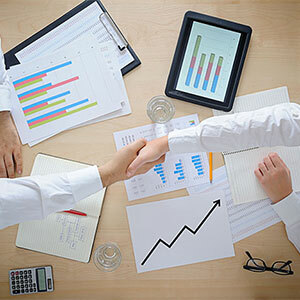 These services are focused on your unique business goals as identified through personal, comprehensive collaboration. ACS, Inc. Web Design & SEO offers various levels of internet marketing plans, ensuring businesses of any size can start using the web to its full potential. 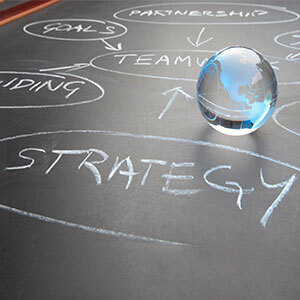 Following your acceptance of an internet marketing proposal, our internet marketing team will meet with you in person to identify your business goals, get a preliminary understanding of your products or services and establish a framework to operate within for forming strategies and campaigns moving forward. Each business faces unique challenges. Overcoming these challenges requires an internet marketing strategy that's crafted for your business's specific situation. ACS, Inc.'s thorough onboarding process provides you with a digital marketing partner who truly understands your business and industry. After a long work day, putting in another hour's work for dinner sounds unappetizing. In this situation, you might Google “takeout near me.” Your next step isn't going to be to skip to the third page results—you'll take what's right in front of you. Whether looking for delivery food or professional services, there's a 92% chance you'll go with a website that shows up on the first page of search engine results. Without an effective search engine optimization (SEO) strategy, you are the 8%--and you're getting passed on. Our experienced SEO experts can help change that. SEO is critical to attracting new customers or clients. With 21% of American's time online being spent on search engines, according to MediaBistro, earning high positions on search engines through ACS, Inc.'s effective SEO strategies puts your product or services in front of a captive audience. The importance of SEO is emphasized by the fact that Google research shows that 50% of people who search for local businesses online make in-store purchases the same day. Let's talk about how our SEO services can help you generate more leads. ACS, Inc. is a recognized Google Partners firm. As a Google Partner, we've been recognized for excelling in using Google best practices. From the Analytics data and tracking that's critical to judging the performance of your website to our paid and organic search optimization, our digital marketing professionals have the knowledge and hands-on experience to empower your business to use the web to its full potential and increase leads. As well as our firm achieving Google Partners status, our internet marketing team includes Google Analytics Certified Individuals and Google AdWords Certified Individuals. 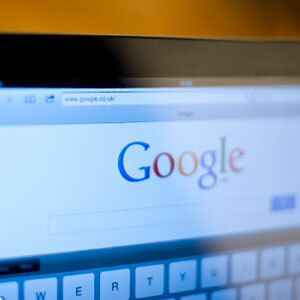 Our expertise in Google products provides a competitive advantage to our clients. 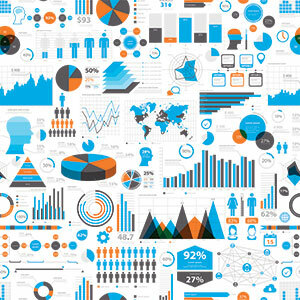 The importance of a digital marketing team that's knowledgeable in Google Analytics is critical to making progress on specific goals, as Analytics data provides valuable insights into how people use your site; without proper understanding of how to interpret Analytics data, strategies can be misinformed and produce poor results. Our Analytics Certified Individual team members can discover profit opportunities and recognize and remedy weaknesses. Equally important is an internet marketing team that knows how to optimize and manage paid search campaigns in Google AdWords. Mismanaged AdWords campaigns can cause large losses, a poor ROI and wasted time and effort. Our AdWords Certified Individuals have the attention to detail and practical knowledge that prevent common pitfalls in PPC management, which can make paid search a valuable investment.